High school seniors are waiting to see what college they will get into, and Harvard Law Professor Lani Guinier says true merit admissions should be based on how well a student will contribute to society. Sociologist Caroline Lee explains the movement toward “public engagement,” a form of activism that brings diverse stakeholders together. And Bill Press talks with Congressman John Larson about the future of Social Security. March 22, 2015 Lani Guinier on merit in college admissions, Caroline Lee on the public engagement industry, and Bill Press with Congressman John Larson on Social Security. Lani Guinier Lani Guinier is a Harvard Law professor with some thoughts on how to introduce true merit into the college admissions process, which she says now privileges only the wealthy. Caroline Lee Professor Caroline Lee tells us about the concept of “public engagement,” which tries to avoid professional activism in solving both corporate and community problems. John Larson Bill Press and his guest, Congressman John Larson. Jim Hightower Obama resorts to government by sucker punch. With high school students mulling over which college to attend next fall, prominent legal scholar and educator Lani Guinier says the admissions testing system is all wrong. Progressives are up in arms about new trade agreements on the table. Labor sociologist Chad Broughton tells us what NAFTA did to a once-thriving Midwestern town. And Bill Press talks with Vermont Congressman Peter Welch about Cuba. February 1, 2015 Lani Guinier on what’s wrong with the college “testocracy.” Chad Broughton on how NAFTA killed a major manufacturer. And Bill Press interviews Congressman Peter Welch. Lani Guinier Legal scholar Lani Guinier says the SAT and other college admissions tests are simply a proxy for wealth and that universities, thus, do not train people to contribute to society. Chad Broughton Labor sociologist Chad Broughton has done a case study on how NAFTA helped shift bargaining power away from unions to corporations. Peter Welch Bill Press and his guest, Congressman Peter Welch of Vermont. Jim Hightower Shoveling America's wealth to the top. A new college class has graduated, and succeeding ones may have a different racial composition. Law professor Sheryll Cashin says if affirmative action is out, then use a college applicant’s social status to determine admissions. If a conservative stopped listening to Fox News, would she change her views? No, says political scientist John Hibbing, who contends our politics are knitted into our DNA. And Bill Press talks with Congressman John Yarmuth of Kentucky. Jun. 15, 2014 Cashin on replacing affirmative action … Hibbing on the genetic basis of politics … and Bill Press with his guest, Kentucky Congressman John Yarmuth. Sheryll Cashin Sheryll Cashin is an African-American law professor at Georgetown University. She makes the case in a new book that it is “place, not race” that should be used in determining college admissions. John Hibbing Professor John Hibbing has studied politics and people’s brains. He says people can sometimes change their views based on evidence, but mostly we voters are responding, in part, to genetics – how we are programmed to see the world. John Yarmuth Bill Press and his guest, Kentucky Congressman John Yarmuth. 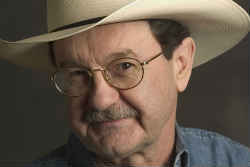 Jim Hightower The NRA ducks a shot of common sense. In light of the recent Supreme Court decision, a perhaps surprising take on affirmative action from Georgetown law professor Sheryll Cashin . With the V.A. under attack, Aneesh Chopra , the government’s first chief technology officer, tells how the administration actually cleared up a backlog of claims and used information technology to empower veterans. And Bill Press interviews one-time death row inmate Kirk Bloodsworth. May 11, 2014 College admissions should be about place, not race, says professor Sheryll Cashin. Government must work with business to create innovative ways of delivering services, says technology expert Aneesh Chopra. And Bill Press interviews an innocent man who was on death row. Sheryll Cashin It’s 50 years after the Civil Rights Act of 1964 and 60 years after Brown v. Board of Education, and Georgetown Law professor Sheryll Cashin says it’s time for college admissions to be about place, not race. Aneesh Chopra Innovator Aneesh Chopra, the government’s first chief technology officer, talks about how innovation can better deliver services to the public, and uses the V.A. as an example of how to do it. Kirk Bloodsworth Bill Press and his guest, Kirk Bloodsworth, the first death row inmate exonerated by DNA. Jim Hightower The GOP's minimum wage nuttiness. In-depth discussions with the nation's top progressive commentators, featuring Jim Hightower and Bill Press. Common sense commentary from Texan populist Jim Hightower . Jim Hightower has spent three decades battling the "powers that be on behalf of the powers that ought to be." Twice elected Texas Agriculture Commissioner, Hightower believes that the true political spectrum is not right to left but top to bottom, and he has become a leading national voice for the 90 percent of the public who no longer find themselves within shouting distance of the Washington and Wall Street powers at the top. 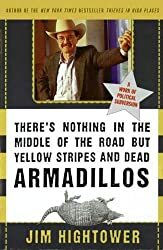 As political columnist Molly Ivins said, "If Will Rogers and Mother Jones had a baby, Jim Hightower would be that rambunctious child — mad as hell, with a sense of humor." To read his latest commentaries and subscribe to his monthly Hightower Lowdown, go to www.JimHightower.com. 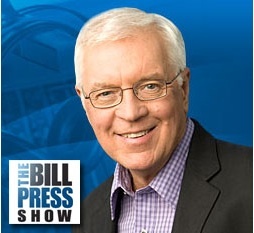 Hear the host of The Bill Press Show on AmericasDemocrats.org! Bill Press is a fierce progressive with insider access to the administration -- and he's the only nationally syndicated talk radio host to attend the daily White House press briefings. Listen here for his interviews with lawmakers and prominent Democrats.